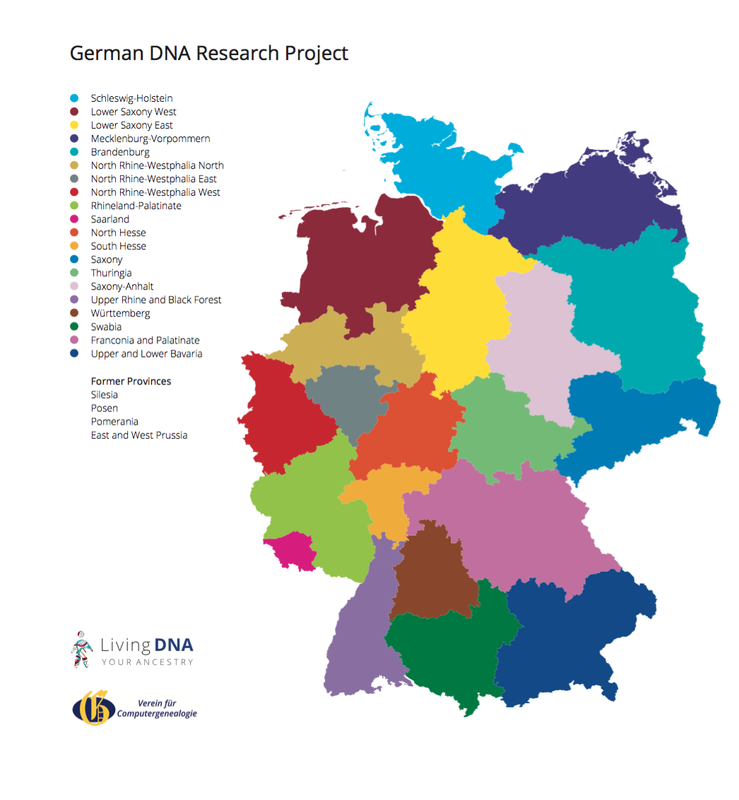 19th April 2017 - Somerset, UK -- Living DNA initiative seeks to identify patterns of DNA within Germany and surrounding regions. An international group of researchers from the UK and Germany today launched a large-scale appeal for people with four locally-born grandparents, to contribute to a long-term DNA project that will map the genetic history of Germany. One Family - The German People / Eine Familie - Die Deutschen, is a collaborative project by European ancestry firm Living DNA and Germany’s largest genealogy society, Verein für Computergenealogie e.V. (CompGen). Individuals with four grandparents all born within 80 kilometres (50 miles) of each other, are being sought to take part in the project by taking a simple DNA test. The project’s aim is to map the genetic structure of contemporary Germany and surrounding eastern regions. By focusing on people whose grandparents were all born in close proximity, the team aims to build up the most detailed and accurate regional map of Germany’s genetic history – prior to the loss of territory and mass departures from the eastern parts of Germany that occurred as a result of WW 2. One of the biggest challenges the project faces will be identifying people across all regions of interest, some of which now lie outside of contemporary Germany (Silesia, Posen, Pomerania, East and West Prussia), which have been part of Germany prior to WWI, with a special focus on the former eastern provinces (now part of Poland and Russia). To encourage suitable people to come forward, individuals who fit the criteria will be able to claim a discounted DNA test at only €89 + return postage (RRP €159), which includes lifetime membership to Living DNA. Qualifying people who have already had their DNA tested, can transfer their results to the project free of charge and receive a complimentary lifetime membership to Living DNA, which means that they will receive updates to their ancestry results as the Living DNA database grows. “We’re very pleased the society will be able use its expertise to make a sizeable contribution to a publicly available mapping of the genetic structure of “Germany”. The DNA research team, under the leadership of Living DNA, made a name for itself in 2015 through its work on a similar landmark study entitled “The People of the British Isles”. This study, which was published in Nature magazine was the first to map the genetic history of Great Britain and Northern Ireland in high detail. Key members of CompGen under leadership of German genetic genealogist Dr. Tobias Kemper, are also closely involved in the project to ensure it is as academically robust as possible.